We test whether analysts display multiple biases in forecasting the Institute for Supply Management’s manufacturing purchasing manager’s index (PMI). We adopt a test that does not require knowledge of the forecaster’s prior information set and is robust to rational clustering, correlated forecast errors and outliers. We find that analysts forecast the PMI poorly and display multiple biases when forecasting. In particular, forecasters anti-herd and anti-anchor. 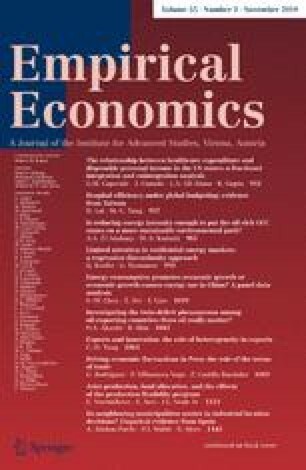 Anti-herding supports a reputation-based notion that forecasters are rewarded not only for forecast accuracy but also for being the best forecast at a single point in time. Anti-anchoring is consistent with forecasters overreacting to private information. The two biases show a strong positive correlation suggesting that the incentives that elicit anti-herding also elicit anti-anchoring behavior. Both biases result in larger absolute errors, although the effect is stronger for anti-herding. The authors gratefully acknowledge the financial support of the Argyros School of Business at Chapman University and a summer research grant from the College of Business at the University of Tennessee at Chattanooga.